Call it a comeback in the age of iTunes: More and more music lovers are giving vinyl records a spin. That desire to ditch the digital downloads in favor of the scratchy sounds of retro discs is providing a sales bump to record labels at a time when industry observers were ready to write off records completely. But now, analog aficionados are far from having to turn their turntables off for the final time. "It's a great time for records," said Dave Hansen, an owner of Independent Record Pressing, which has six steam-powered presses in its Bordentown, New Jersey, facility. "Everybody wants vinyl," Hansen told NBC News. "We are selling out faster than we can make." Independent Record Pressing has plans to produce 1 million LP records a year thanks to the interest from many younger customers. Those fans are helping to fuel the surge in sales. According to the Recording Industry Association of America, vinyl sales are up 52 percent from the first half of 2014 to the first half of 2015 — or from $145.8 million to $221.8 million. In fact, the top-selling vinyl album of 2014 — Jack White's "Lazaretto" — is also the top-selling vinyl album of any calendar year since the Nielsen tracking era began in 1991, reported Billboard. Vinyl's revival, however, can't compare to the revenues from digital music, which was worth $2.3 billion in the first half of the year, up 6 percent from the first half of 2014, according to industry figures. Still, vinyl is far from extinct. But why? "People want to have it in their hands," Hansen said, adding that he likes the "pops, idiosyncrasies." For some, it's not even about the music, but the nostalgia. "I think there are some people who are buying vinyl and not listening to it — just hanging it on the wall," Hansen added. "EVERYBODY WANTS VINYL. WE ARE SELLING OUT FASTER THAN WE CAN MAKE." 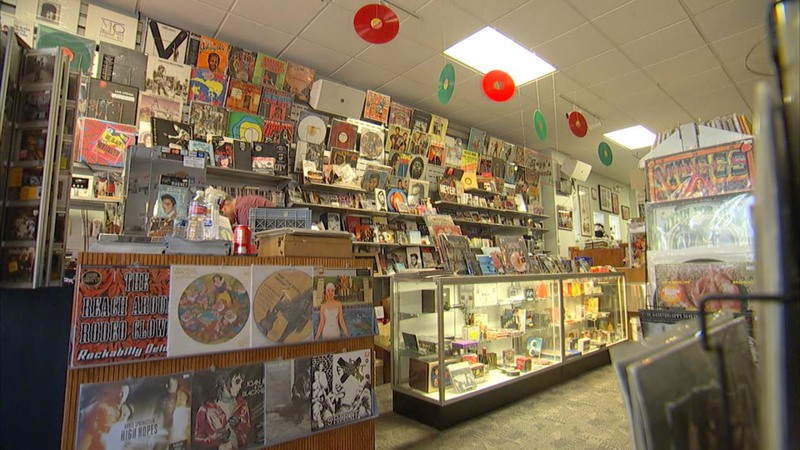 Not far from Independent Record Pressing, the renewed love affair with vinyl is in full swing at a mom and pop shop in Bordentown called The Record Collector. Owner John Chrambanis is actually benefiting from the Internet — it's where he gets a lot of his orders from people looking for the vinyls. His store is stocked with older and rare records. "If you think all those dusty albums in your basement are obsolete, think again!" he said. For Chrambanis, the crackle and snap that hums from the record player is music to his ears. "The warmth that comes out of vinyl you can't compare to CDs," he said.